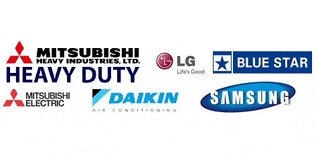 COOLING CARE AIR CONDITIONER SYSTEM DAIKIN VRV DEALER 99108858865, 7210185865, www.coolingcareindia.com First launched in Japan in 1982, the daikin VRV system has been embraced by the world markets for over three decades. Now, we at daikin introduce the next generation VRV X system to reinforce our industry leadership. The system now offers an enhanced line-up to meet an ever widening variety of needs, while improving energy savings, comfort and ease of installation. The VRV X is the most advanced Air conditioning system in the world and is ideal for large and small spaces.